Thermaltake revealed their latest power supply at Computex 2017, the Toughpower iRGB PLUS 1250W Titanium - TT Premium Edition. 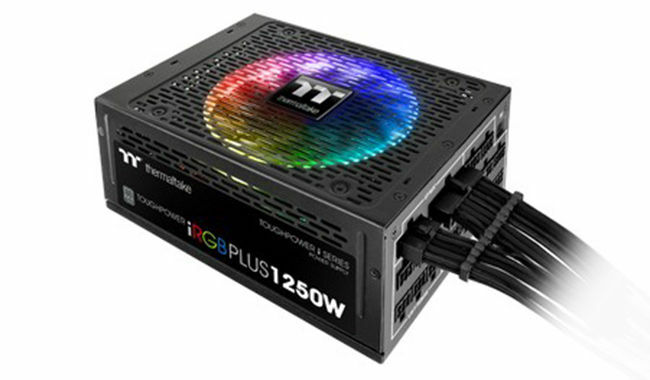 Being quite a mouthful, this power supply supports RGB lighting that covers the entire gamut of 16.8 million colours, or as some might say “true RGB”. The fully modular power supply has their patented Riing 14 RGB fan, which claims to be ultra-silent and it supports 10 lighting effects. The PSU also supports all of Thermaltake’s platforms including DPS G PC APP 2.0, DPS G Smart Power Management (SPM) Cloud 1.0, and DPS G Mobile APP 1.0, essentially helping users to monitor the power and eventually save energy. 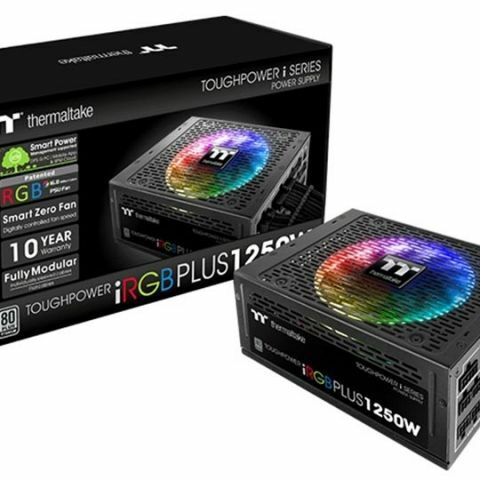 In a race to gain the bragging rights of being first, Thermaltake had previously incorporated their Toughpower power supply series to support RGB lighting. The only bummer here was that it had a limited spectrum of colours achieved by the RGB LEDs. 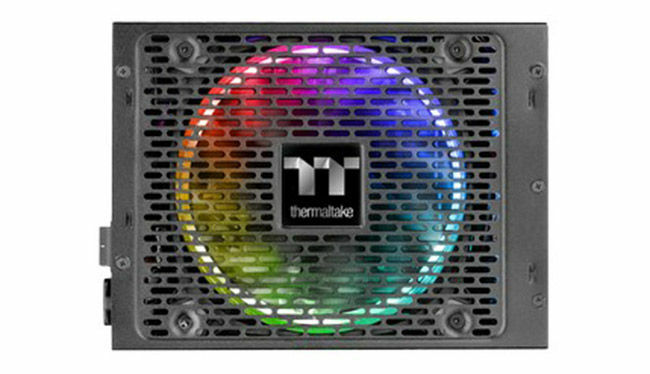 After a year, Thermaltake has improved the RGB LEDs to widen the spectrum and support 16.8 million colours. These colours can be controlled using Thermaltake’s software which enables you to make several changes to the lighting effects of the PSU. It includes several lighting modes such as fully lighted, flow, RGB spectrum, ripple, pulse, blink, static and wave. Other than these preset effects, you will also be able to control the speed of the light transitions through four levels. Efficiency: MEET 80 Plus Titanium at 115Vac input. The PSU uses Japanese branded capacitors which are usually of high-quality that ensures stable power draw and durability over the years. With Titanium certification, the iRGB PLUS is said to offer about 94% efficiency and it uses a single +12V rail. The PSU has been optimised for the latest Kaby Lake processors to ensure there aren’t unusual fluctuations or limited power delivery, which will essentially offer better savings on energy. The Toughpower iRGB PLUS 1250W is said to be available in the second quarter while there’s no particular date for its availability in India, nor do we have any information on its pricing. Is this the iPhone 6 or iPhone 6 Plus?